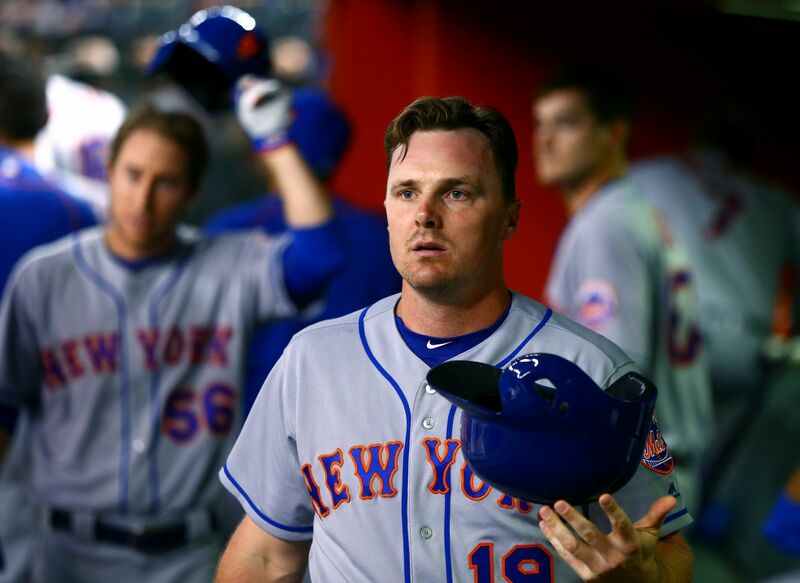 Another offseason, another Toronto Blue Jays/Jay Bruce rumor. The current Mets outfielder almost became a member of the Blue Jays before the 2016 season in a deal that would have also sent Michael Saunders to the Los Angeles Angels, but the trade fell apart at the last minute. Now, prior to the 2017 season, the Blue jays are reportedly interested in Bruce again, and are contacting the Mets to try to work out a trade. Considering the Blue Jays will probably lose long time slugger Jose Bautista this winter, replacing him with another middle of the order power hitting outfielder would make sense, especially since Bruce is a bit younger. On the Mets side of things, they have to be absolutely loving all of the trade talks teams seem to want be in with them. It was reported last week that multiple teams had inquired on Bruce, Curtis Granderson, and Michael Conforto, and with the abundance of left-handed outfielders the Mets have, moving one of these guys would make a lot of sense. At the same time, the Mets did just trade one of their top prospects, Dilson Herrera, for Bruce last July. So unless the Blue Jays can really impress New York with their offer, and the Mets can be guaranteed that Yoenis Cespedes will re-sign, it is tough to imagine them shipping Bruce away this early. Bruce did struggle during his short time in New York, however, and is only under contract for one more year. If the Mets can swing something good for the long-term out of this deal, it would be well worthwhile. Reports have also indicated that the Philadelphia Phillies have shown interest in Bruce.